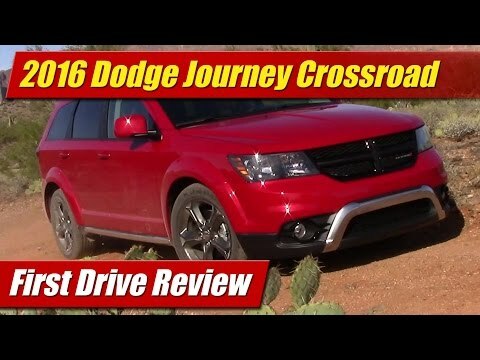 With a price starting just under $22,000, the 2016 Dodge Journey midsize SUV distances itself from pricier competitors such as the Kia Sorento, Honda Pilot and Toyota Highlander. Despite its low price, the Journey has much to offer including seating for up to seven, clever storage solutions, a potent optional V6 engine and a wide range of trims and options. The Journey is the best price for a 7 seater. Although space is limited especially when you try to fit tall men in it. Several electronic features a plus. Map outdated quickly. Hidden compartments and coolers a plus in this make/model. Doors have slots that go deep and items get down in them which is hard to retrieve. Steering wheel has audio controls which makes it safer driving. The back has additional storage compartment which is great when car is full of people. I found it only offers a 1 year battery for this make and model and the battery is behind the driver's front tire which is not convenient for a simple fix. My Dodge has had 2 recalls in 2 years of having it. Parts for the vehicle can only be bought through dealer not AutoZone, discount auto type places. Making appointments for service has been difficult. After making an appointment you still wait. I replaced 2 air filters and then had the oil changed. They marked air filters as needed replacing. It does not get the advertised fuel economy. This car is on several list as one of the ten worst cars made in America. It has poor driver visibility, poor legroom, the resale value drops like a brick in a vacuum, it does not get promised fuel economy. If you are not a tall person you cannot safely see the distance between you and the vehicle in front of you. The engine/transmission combination is known for having problems. I will never buy another Dodge product in my life, and I will never buy another new vehicle again. The cost of new cars is to high for the quality delivered. New vehicles don't come with spare tires or jacks, just low tire warning systems. You must have a way to re-inflate a low tire or ruin it driving. I have been told (not verified) that these run-flat tires cost $300. 00 to replace. New cars simply are not worth the cost or headache involved in my opinion.